By the time the weekend has come around, most of us are tempted to just put up those tired feet, and sit for a couple of days in front of the TV. However—as we've talked about before—getting outdoors and staying active is a far more effective way to relieve stress and rejuvenate your body! 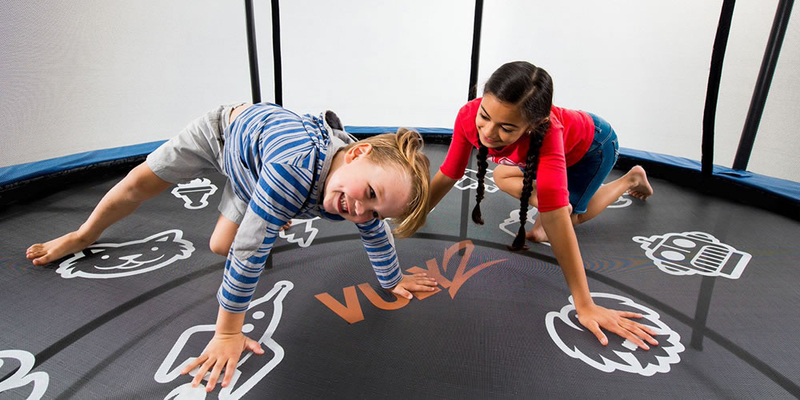 Your Vuly trampoline is an exercise powerhouse and endorphin-producing machine; let's not forget that it's also a great way to get the whole family into a fun activity without even leaving the house! You can each take turns bouncing, and see who has the best mid-air moves. Built to handle both big and small (even dad can get in on the action), your Vuly trampoline comes packed with HexVex™ games pre-printed on the mat. Keep the laughs coming for hours as you try to best each other in Trampoline Twister and Mimic Me well into the afternoon. Attach your Basketball Set accessory, and see who can shoot the most hoops. Living in Australia, we're fortunate to have so many pristine natural environments ripe for exploring, usually only a short drive outside of the hustle and bustle of the city. When we're dealing with traffic, pollution and concrete every day, sometimes a quick trip away from it all is the best thing for us. A little research will reveal your local national parks, walking tracks and hikes—from tropical rain forests and native bushland to seaside mangroves and mountainous pine forests. Take the kids outside their comfort zone into a beautiful area to explore that's right on your doorstep. Tip: Take along a nature guide for some added fun. If one of your kids is a flora or fauna buff, they'll love spotting and identifying all the little plants and creatures along the way. Whether it’s in your own backyard or at a community centre, gardening is a surprisingly physical hobby that lowers stress levels, calms the mind and allows you to give back to the Earth. 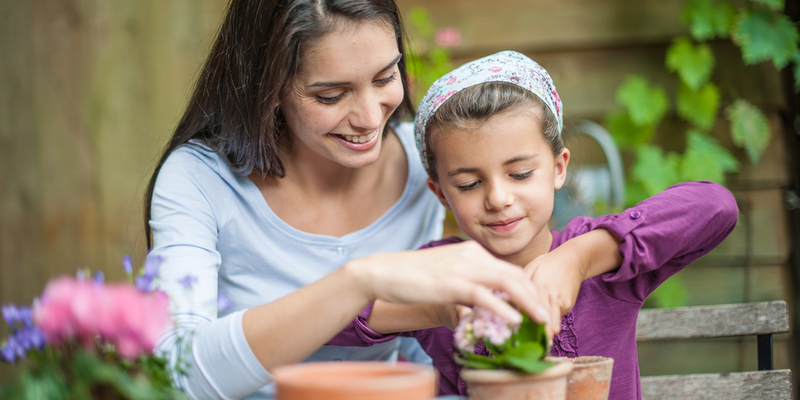 Not only that, gardening teaches children valuable lessons about nature, patience and nurturing delicate life. Many communities now have specialised bush rejuvenation groups who work together to reinvigorate local areas. They always welcome more help, and it's a brilliant way to bring the family together while doing more than just enjoying yourselves. Tip: If your community lacks gardening groups, keep your eye out for nation-wide events like Planet Ark’s National Tree Day, which you can all get involved in no matter where your family lives! Tell us how your family is getting out and about this weekend! What do you do to keep everyone active and in touch with the outdoors?